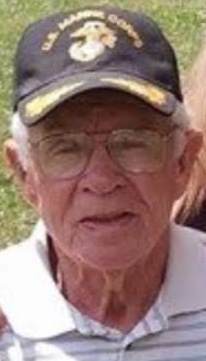 Calvin W. "Whip" Mayle, Sr.
Calvin W. “Whip” Mayle, Sr., 93, of Riddles Run, Ohio, passed away peacefully Thursday November 29, 2018 at home. He was born February 24, 1925 in Brilliant, OH, the son of the late Calvin and Anna Mae (Bateman) Mayle. In addition to his parents he was preceded in death by his wife, Elizabeth F. Mayle in 1993; a daughter, Sherry Samson; an adopted daughter, Annie Gaughenbaugh; three brothers, David Mayle, Robert “Fuzzy” Mayle and infant Roger Mayle; two sisters, Carrie Merritt and R. Anna Davis; a step-son, Robert Felton; and a step-daughter, Theresa L. “Terri” Felton. Whip was retired from Boilermakers Union Local 154 and was a former business agent for Laborers Union 809. He served his country in the U.S. Marine Corps during W.W. II. and was the last charter member of the Brilliant American Legion Post 573. Calvin was a member of the Riddles Run House of Prayer; the Steubenville Masonic Lodge #45 F&AM; and the Mingo Sportsman Club. He enjoyed hunting and fishing. Surviving are his wife, Dorothy J. “Dottie” (Hayes) McGee, whom he married on November 24, 2008; six children, Terry (Linda) Mayle of Jacksonville, FL, Diane Bachtel of Chester, OH, Calvin Mayle, Jr of Chester, OH, Tina (Mark) Heald of Pomeroy, OH, Pat (Jill) Mayle of Brilliant, OH, and Misty (Brian) Search of Wintersville, OH; an adopted son, J.J. Mayle; a step-daughter, Brenda (Richard) Burge of Brilliant, OH; two brothers, Lloyd “Fickle” Mayle of Elkins, WV and Charles (JoAnn) Mayle of Hopewell, VA; two sisters, Gerri (Hockenberry) Reed of Steubenville, OH and Eleanor Mathias of Wintersville, OH; and many grandchildren and great-grandchildren. Friends will be received at the Wheeler Funeral Home, 712 Third St., Brilliant on Sunday from 4:00 p.m. until the time of his funeral services at 8:00 p.m. with Rev. Jack Jackson, officiating. 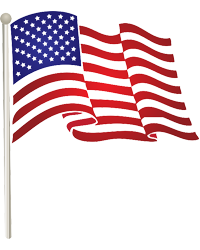 There will be military honors by the Brilliant American Legion at 5:00 p.m. and services by the Masonic Lodge immediately following the legion. Private inurnment at New Alexandria Cemetery.